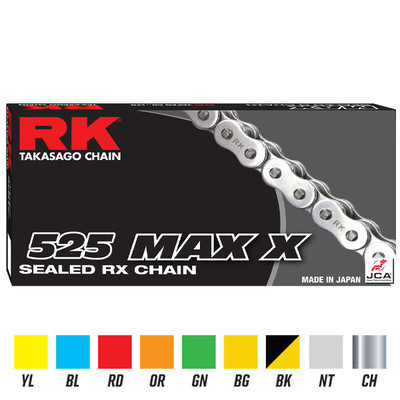 The RK Max-x series of chains is their new premium RX-ring sealed chain that is offered at the most competitive prices of any other brand. They come in a variety of colors and length to suit your custom needs. 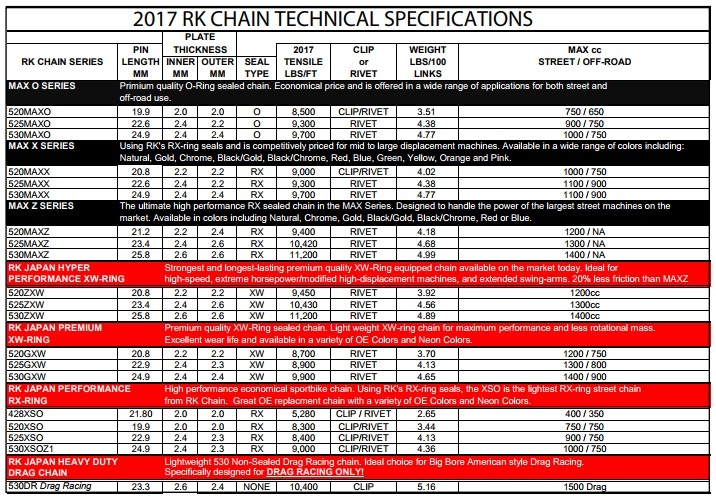 With RK's history of quality and this new series out, the RK Max-x is the perfect chain for your motorcycle. Available in Gold, Chrome, Black/Gold, Black/Chrome, Red, Blue, Green, Yellow, Orange, Pink, and Natural. Both clip and rivet type master links are individually available in Natural, Gold, Nickel and Black finishes. Natural finish chains come with Natural finish master links. Gold finish chains come with Gold finish master links. Chrome finish chains come with Nickel finish master links. 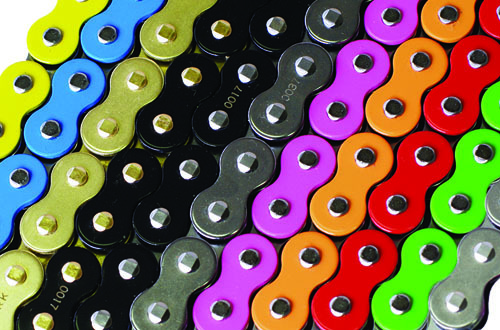 Colored chains come with both Nickel finish master links. Black/Gold chains come with Black finish master links. 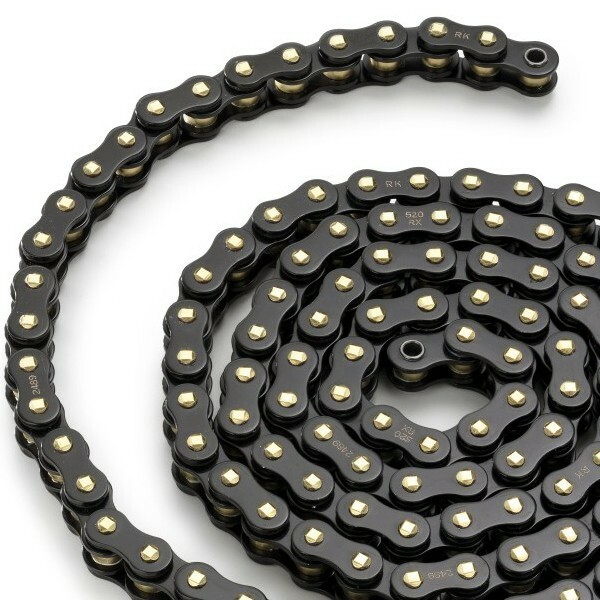 Black/Chrome chains come with Black finish master links.